The wonderful and inspiring Tasha of The Clean Eating Mama passed this award on to me. Thank you, Tasha! So flattered! And Faith of An Edible Mosaic awarded me the Beautiful Blogger Award! Thank you, Faith! I received this award from Holly early last month, and I am tickled to receive it again! If you haven’t checked out Faith’s blog, do so! I just love it! 3. Link the person who nominated you for the award. 4. Tell 7 interesting things about yourself. 5. Nominate 7 bloggers or less. 6. Post links to the 7 blogs you nominated. I have a true weakness for donuts. It’s unhealthy how much I LOVE them! I am one of those weirdos who loves the treadmill — I can knock out TV viewing and exercise all in one! I consume most of my calories before dinner. I exercise in the evenings and after a workout, my appetite is low. The following morning, however…watch out! I struggle with over-eating in social situations and at restaurants. I’m working on this and it will likely always be a works in progress! I was 5’2 until recently when I grew to a whoppin’ 5’3! Dishes are the house chore I hate most! And I hate all house chores, so that says a lot! I’m deathly allergic to to a plant called marijuana! Andrea of Can You Stay For Dinner? I also did something very un-healthy yesterday — I made truffles! While they were delicious, and I made some healthy modifications, they were still pretty harsh nutrition stats. But for a special occasion, and in moderation…yum! I decorated mine with assorted toppings—coconut, mini white chocolate chips, and chocolate jimmies. In a large bowl, cream the butter and brown sugar until light and fluffy. Beat in vanilla. Gradually add flour, alternately with milk, beating well after each addition. Stir in the chocolate chips and walnuts. Shape into 1-in. balls; place on waxed paper-lined baking sheets. Loosely cover and refrigerate for 1-2 hours or until firm. In a microwave-safe bowl, melt candy coating; stir until smooth. Dip balls in coating, allowing excess to drip off; place on waxed paper-lined baking sheets. Refrigerate until firm, about 15 minutes. If desired, remelt remaining candy coating and drizzle over candies. Store in the refrigerator. I am now off to play 2 hockey games in hopes of burning off the 4 truffles I ate last night! I should’ve calculated the nutrition stats before I ate 4, let’s just say that much! Eeek! Question: What’s your favorite truffle chocolate? One truffle has 208 calories?? Wow. That is why I do not look at the nutritional info when I’m indulging. I would just enjoy the treat so much less if I was aware of stats! Mmmmm…those truffles look so good! They’re so pretty too! lol– great facts– so funny that you grew an inch without knowing! I overeat in social situations too…have to be really careful about that! 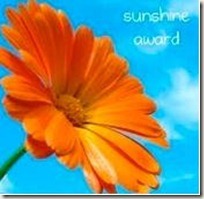 Awww you are so sweet to pass the sunshine award on to me! You totally deserve your awards, you’re awesome girl! I’ve never made truffles before, those do look pretty amazing and tasty! I am right with you on loving the treadmill! It’s where I get most of my news, haha. Such gorgeous truffles!! You are quite talented! Mine would not look like that, I can tell you that right now! haha!! Just the name alone sounds heavenly. It’s hard to believe so many calories are in just one!! I would’ve wolfed down 4 or more easily!! Wow! 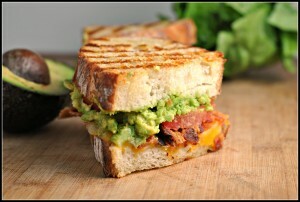 Unhealthy but delicious looking! Sweet treats are okay sometimes 🙂 I know I make them a lot! Love reading the stuff about you! Have a great day!! Congratulations on the awards — very much deserved. And those truffles – yum, yum, yum! cookie dough truffles!! They have to be one of my favorite treats ever! My aunt is the most fabulous baker and she always brings them to our family xmas eve party. yum yum yum! 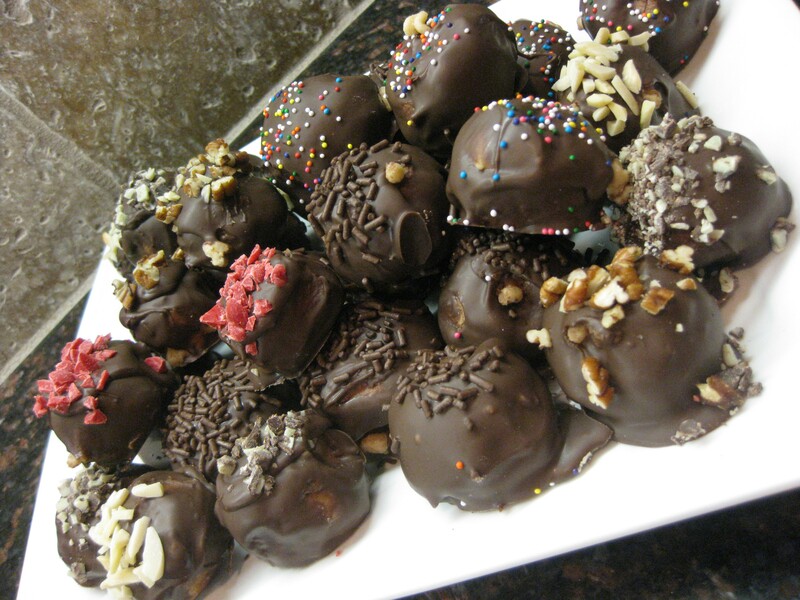 Cookie dough truffles…that have some healthy ingredients…these sound AMAZING! Mmmm – truffles!!! I’ve only made the Oreo kind with white chocolate. AMAZING. Totally worth the effort!! Lovely truffles…can’t wait to check out your peeps! aww thanks girl! i’m honored :). loved reading all of your tidbits of personal info in this post, it’s always fun to learn stuff like that about bloggers! how recently did you grow? that’s crazy! i stopped growing at like 17 i think, but i was under 5 feet until i was 14, then when i quit gymnastics (not sure if that was related, but i like to think it was) i magically shot up SIX inches in 2 months. yikes, talk about growing pains. i admire you for talking about struggling with overeating in those settings! it’s a surprisingly common battle (which obviously you’re aware of, as an RD!) so i think your opening up will give people a lot of hope and comfort that they’re not alone! Hahaha! Thank you, Tiff!! I’m glad you liked them! 🙂 So good seeing you guys last night…let’s make another date sooner rather than later! AWW i <3 you! thank you for the sweet reward! your comments always make my day too love! TRUFFLES-ahhh! i love anything PB and dark chocolate! I love truffles. Those look amazing! You have to indulge once and a while. Congrats on the awards. Holy heck do those truffles look wonderful. I bet they were so worth it. Chocolate covered cantaloupe sounds really good. Thanks for the thought, I may need to try that. Ugh…house chores are the worst! I absolutely dread having to clean. Your truffles look like they’re from a fancy bakery! I’m impressed! I made Oreo truffles for a work cookie swap and they were the most popular cookie there! Yum. 208 cal per truffle?? That seems really high! I love Lindor truffles and they only have about 70 calories each. Most Godiva truffles have about 80 calories each, too. I’d stick with either of them before going through the trouble of making my own. Wow-cookie dough truffles? Those sound like the best thing ever. Every now and then we have to ignore the nutritional information and just enjoy!! At least, that’s what I do! 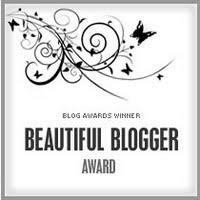 Nicole, Thank you so so much for the beautiful blogger award, it means the world to me! And I feel like you stole my list of seven things! Especially my love of donuts and treadmill TV watching! congraz on your awards nicole, truffles look awesome & tempting.. I felt you were talking about me in your list of 7 things…. I too have a problem with social overeating, I hate house chores and recently found out that I am not 5’3″ but 5’3,5″ and that made me feel sooo good…. ha ha…. Congrats on the award. You deserve it, girl! YAY! 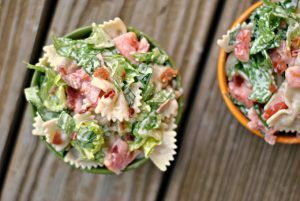 I so appreciate you making my recipes and thrilled that you enjoy them as much as you do. I like how you lightened them up a bit too–a perfect indulgence 🙂 Happy Monday! Your truffles look great…I have never seen flour in a truffle recipe! I am wondering how that changes things??? Love learning about you. You grew in the past year? Must be all that healthy eating! You’re evil! I’ve always eaten my cooke dough truffles without ever wanting to think about the nutrition. They are my kind of cheat treat! On the other hand it’s always a good thing to keep that in the back of your mind so you can balance it out with the rest of your choices. WOW !!! Those truffles look amazing!!!!!!!!!!!!!! I would be loving those!!!!!! I love your recipes!!! Always something good!! Thanks so much for the award Nicole – you’re a sweetie! I comment cause I love reading your blog… well and of course the pics of Lily – I’m a sucker for dogs! I hope you’re having a fantastic week.